"Financing and building the finest university west of the Missouri River"
Establishing and financing the University of Nebraska began even before its charter was approved in 1869, as many legislators and a few educators questioned its cost and even the need for its existence. Within a few years, however, the value to the state became apparent to the legislature and regents, leading to what was to be known as the university’s golden years. Through the 20th century, the school’s top ratings rose and fell, often around statewide economic fluctuations. Now, in the first quarter of the 21st century the financing of the university is again being questioned as politics and money seem to dominate discussion of the institution. Introduced as Senate File 86, the bill to create the university was sent to the Education Committee headed by Charles Gere, was passed through both houses of the legislature with “not a single negative vote” and signed by Gov. David Butler on Feb. 15, 1869. The university ultimately received 136,000 acres of federal land with its financing supplemented by a mill levy. The governor appointed a Board of Regents to oversee the university, including three ex officio members -- which included the governor -- to serve six-year terms. Not until 1877 were the Regents elected. On June 5, 1869, 105 Lincoln lots were sold for $30,000 to partially pay for the construction of University Hall which, although beset by large overruns, was not originally intended to exceed $100,000 in cost. The regents proceeded to hire the first chancellor and faculty. Because they had no experience or clear idea of what these salaries should be, one source says they decided to pay an equal amount as offered by Harvard University. To that end the regents offered the chancellorship to Rev. Allen Richardson Benton (shown at right) at an annual salary of $5,000. Benton, then president of Mount Union College in Ohio, had been paid $1,200 in Ohio, so it is of little surprise that he accepted. Each regent then proposed a potential faculty member who would receive $2,000 annually and a principal for the Latin School at $1,000. Benton, amazingly, said the offer to him was excessive and at his suggestion, began his tenure at a salary of $4,000. 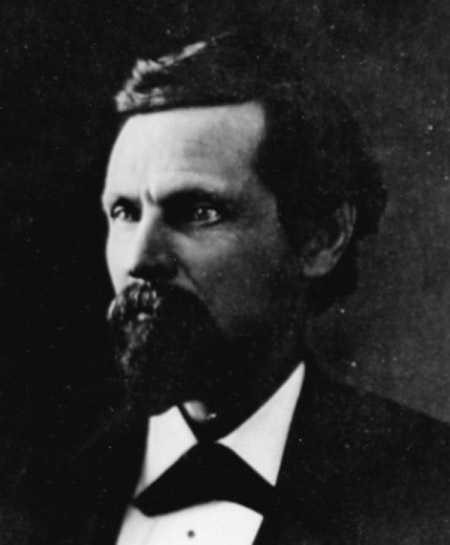 Although another name was first proferred, Benton received a unanimous vote as the first Chancellor of the University of Nebraska. Benton, who was not only chancellor but also professor of intellection and moral science, lived on the northwest corner of 12th and H streets. Yielding to pressure, the regents suggested lowering the mill levy to a half mill, but the legislature reduced it to quarter mill. In 1873, Chancellor Benton, who also taught three classes, offered to forgo another $500 of his salary if the regents would hire an assistant professor of science. By 1880 the legislature was appropriating $25,000 annually to the university. As the regents desired to hire the top candidates for each discipline, Professor Charles E. Bessey was hired at a $2,500 annual salary in 1884, to the consternation of some lesser-paid faculty. Additional funding was by then coming from the Hatch-Adams Act of 1887, the Morrill-Nelson Act of 1890, from appropriations from the legislature and property taxes. The University of Nebraska, though established in a period of depression, drought and grasshopper infestation, was admitted to the Association of American Universities in 1909 as the 18th institution to join the prestigious society founded by Harvard, Columbia, California, Johns Hopkins and the University of Chicago. In the wake of the Great Depression, Chancellor Burnett lowered university salaries by 10 percent. The legislature responded by cutting salaries an additional 22 percent, urged the closure of the teachers college and withdrew the university from accreditation associations. The alumni association countered that the legislature was “attempting to destroy the state’s most valuable institution,” while the regents were forced to cut the library’s budget by 30 percent. The football coach’s salary, however, was set at $10,000 and other head coaches to $6,000 -- well above average teaching salaries. Historian Jim McKee, who still writes with a fountain pen, invites comments or questions. Write to him in care of the Journal Star or at jim@leebooksellers.com. Ed Zimmer’s expertise contributed greatly in researching and editing which is greatly appreciated.